Love, intrigue, and the pursuit of Ghosts… all the best things in the afterlife! Lost in her quarter-life crisis, eccentric Bridget Quinn abandons her Vet School aspirations to open a metaphysical store in St. Augustine, Florida. Adept in Palmistry, Astrology, and Tarot, she discovers her dormant gift of while in the notoriously haunted city. Mediumship proves to be a pesky affliction, especially when Bridget’s attempt to help a ghostly visitor implicates her in a series of vicious murders! Nick Maddox, a ruggedly Adonic but rigorously skeptical cop, investigates the ghastly crimes. Despite their conflicting beliefs, Nick can’t deny his urges for Bridget extend far beyond civil obligation. Frustrated by the lack of tangible evidence, he finds more questions than answers as he pursues spectral justice and Bridget’s love. 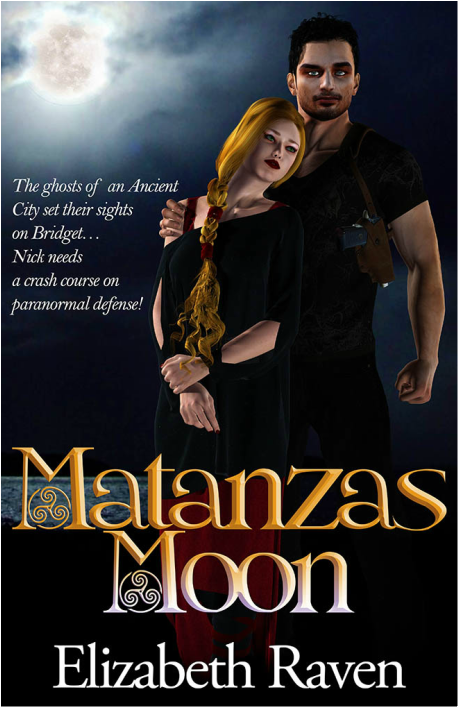 RIP Ryder, a charmingly rebellious ghost tour guide, helps investigate— simultaneously complicating Nick and Bridget’s impetuous dance of courtship. Her heart dangling between Nick and RIP, Bridget stumbles into a web of mystery and mayhem. Can they catch the killer before another murder? Exactly how do you handcuff a ghost anyway?